The Ticket To Ride Raffle Drawing Is Today! The grand prize drawing for Blue Ridge Public Radio's Ticket To Ride Summer Raffle is today! Tune in tonight at 5:30 to find out who will drive away in a new Audi A3 or VW Golf Alltrack from Harmony Motors. Last year's winner will join Helen Chickering and other BPR staff members in the studio to pull the lucky winner's name. 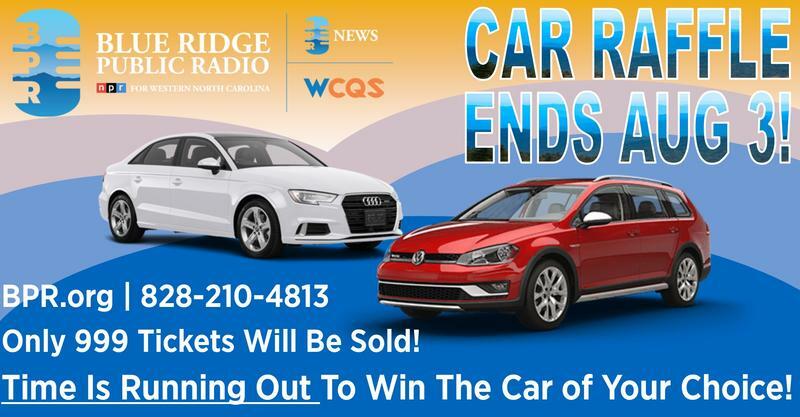 Blue Ridge Public Radio's Ticket to Ride Summer Raffle is now closed. Thanks to everyone who entered. Raffle ticket purchases support programming on WCQS and BPR News. The winner will be drawn at random and announced on air on August 16, 2017. The winner will choose between an Audi A3 or VW Golf AllTrack from Harmony motors. Stay tuned for all the details. Thanks to everyone who entered the raffle. You're all winners to us. 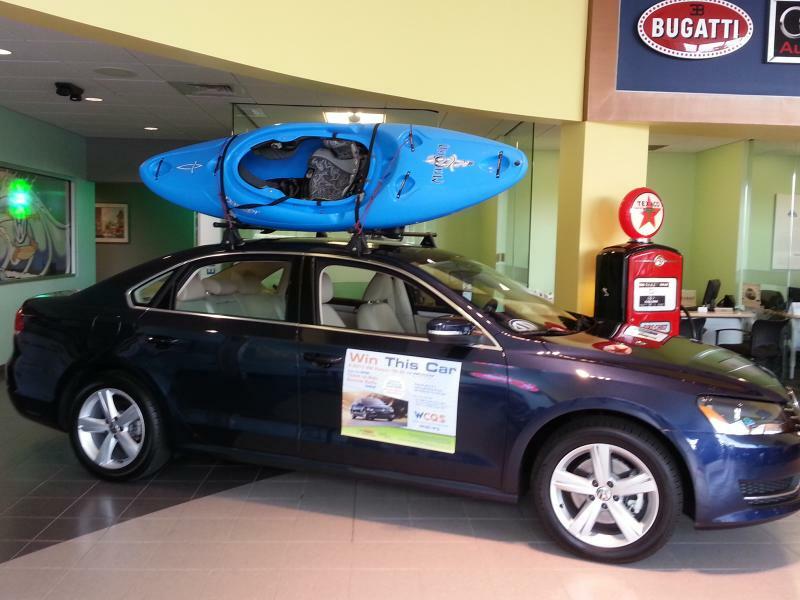 BPR's Summer Car Raffle Starts Friday, July 7! Start your engines! Blue Ridge Public Radio's 6th annual Ticket to Ride Summer Raffle starts Friday, July 7! $100 could put you in a 2018 Audi A3 or 2017 VW Golf Alltrack from Harmony Motors. You choose the car. You choose the color. Only 999 tickets will be sold, and the deadline to enter is August 3, 2017. Ticket to Ride Summer Raffle: Win the Car of Your Choice! UPDDATE: THE TICKET TO RIDE SUMMER RAFFLE IS NOW CLOSED. The 5th annual Ticket to Ride Summer Raffle is in high gear! Support the programming love and win the car of your choice! $116 could put you in a 2016 Audi A3 or Audi Q5 from Audi Asheville. Only 999 tickets will be sold, so don't wait - be a winner today and ENTER NOW! 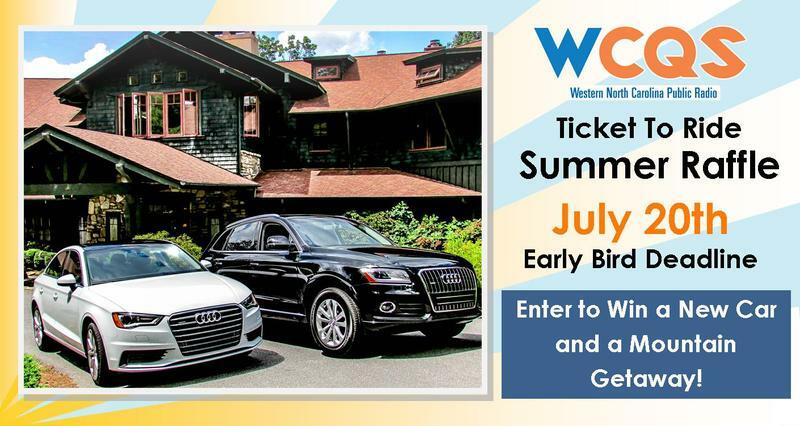 WCQS Ticket to Ride Summer Raffle: Win Big! UPDATE: THE TICKET TO RIDE SUMMER RAFFLE IS NOW CLOSED. Thanks to everyone who entered the WCQS Ticket to Ride Summer Raffle! Please join us at Harmony Motors from 4 - 6 p.m. on Wednesday, August 28th for a raffle celebration. Our prize winners will be drawn at random shortly after 5 p.m. and announced on air during All Things Considered. You do not have to be present [at the reception] or listening [to WCQS] to win. We will contact all winners directly.